Sign-up here so you don't miss any of our inspiration! Custom ARTwalk - made and commercialized by YOU! The March ARTwalk was a blast! Thank you to everyone who stopped by to create art -- and then see it materialize onto a cool button! And special thanks to Michelle Hughes and my kids for helping artists create and making it a crazy fun night! 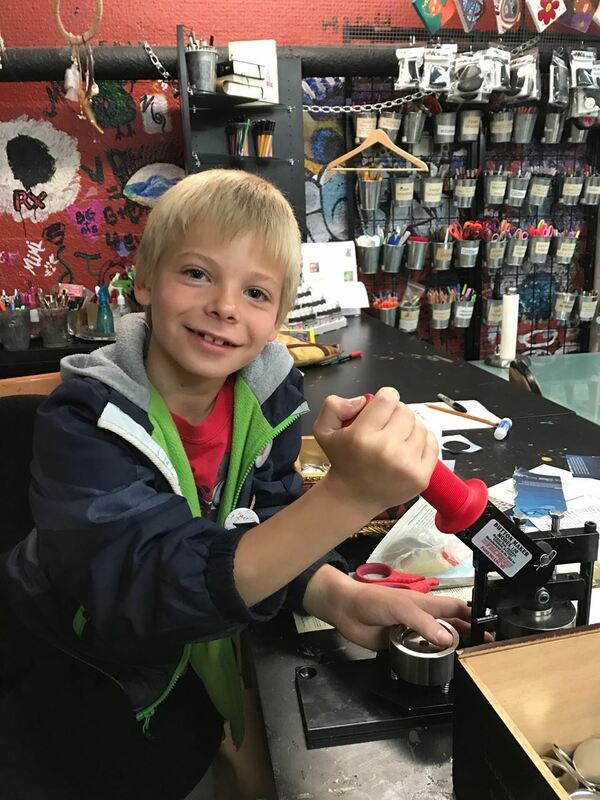 My son, Jakobi, was operating the button-making machine, and wearing about 20 of his own creations on his jacket. 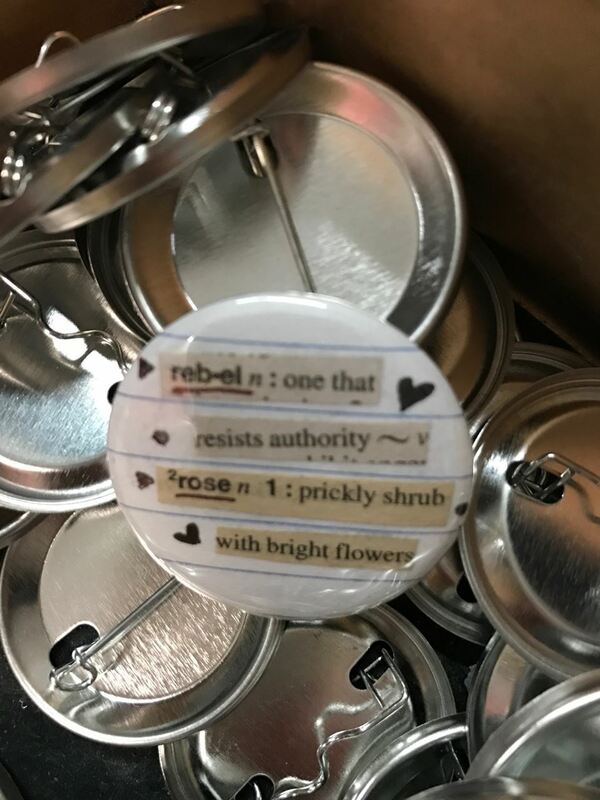 My favorite part of this project is that ANYTHING looks cool once it is turned into something wearable and collectible and professionally finished off with a pin-back. Images from magazines, cut-out words from dictionaries . . . even just regular ol' handwriting! There's something magical about seeing what you create . . . turned into something professionally made. If you missed it, don't worry! 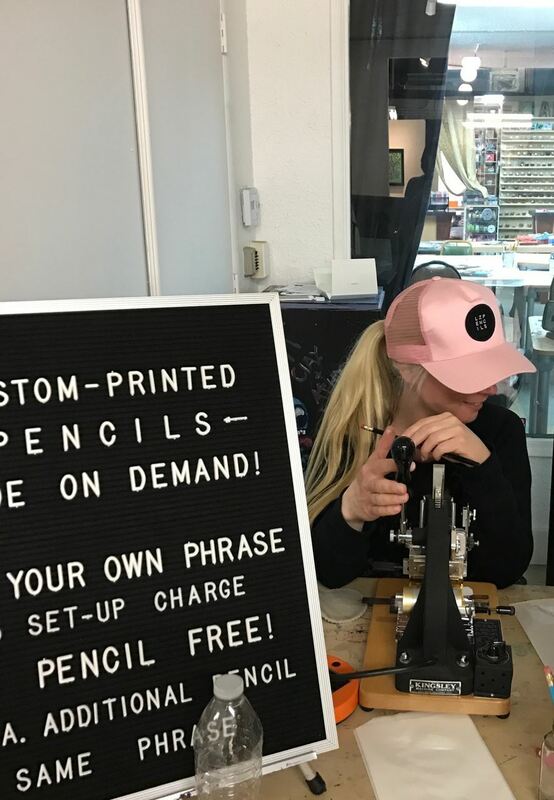 We're going to have our button-making machine back at the April ARTwalk -- plus Jenna, creator of LZPencils, will be back again making custom-imprinted pencils. What witty saying would YOU love to see on a button or a pencil?? At our November ARTwalk, we invited guests to step up to the bar and create a Gratitude Leaf to add to our tree. WOW!! It's is simply beautiful! Thank YOU to everyone who stopped by to create art with us and share your gratitude. We are grateful for YOU! 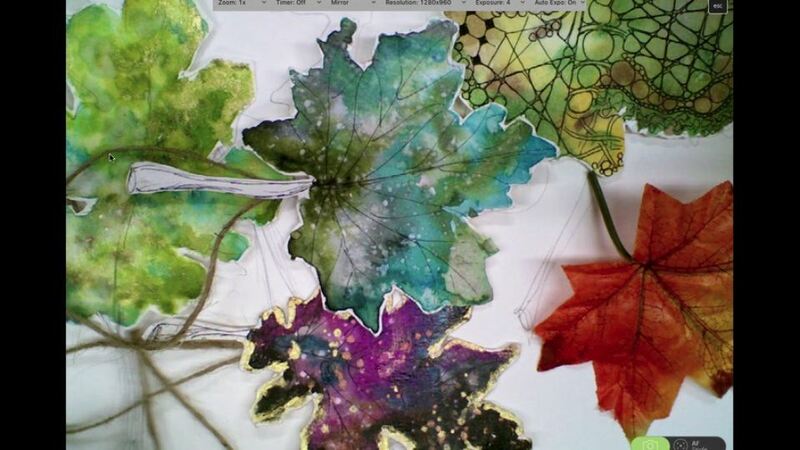 Watercolor leaves are easy and fun to make. Why not set a bunch of them out in a basket for guests to write what they are thankful for? Or put them at the table as place cards (or bookmarks) they can take home. Better yet, at your holiday party, set up a table and invite guests to make their own! Any watercolors will work, just provide some fake (or real) leaves for tracing for those who don't want to draw. They also look great strung on a garland or piece of twine. 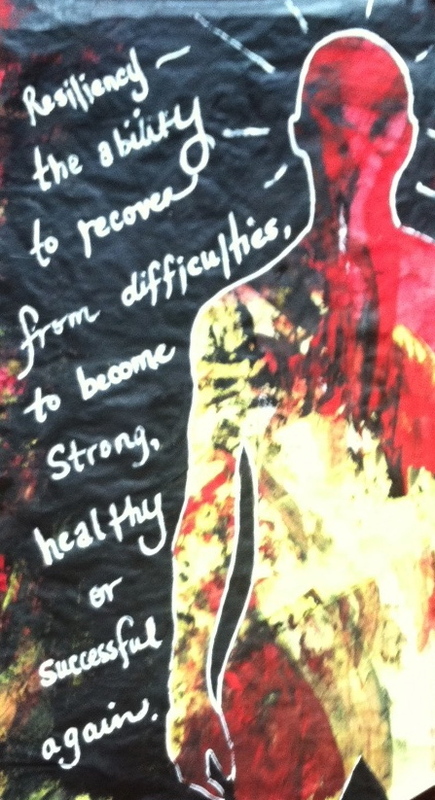 The clients we work with at our nonprofit partners enjoyed hanging them around the windows. At our centers, we put an interesting twist on the project to create a LEAF of CHANGE, using colors that represent the changes in their life: the good, the hard and the ones we are currently excited about. 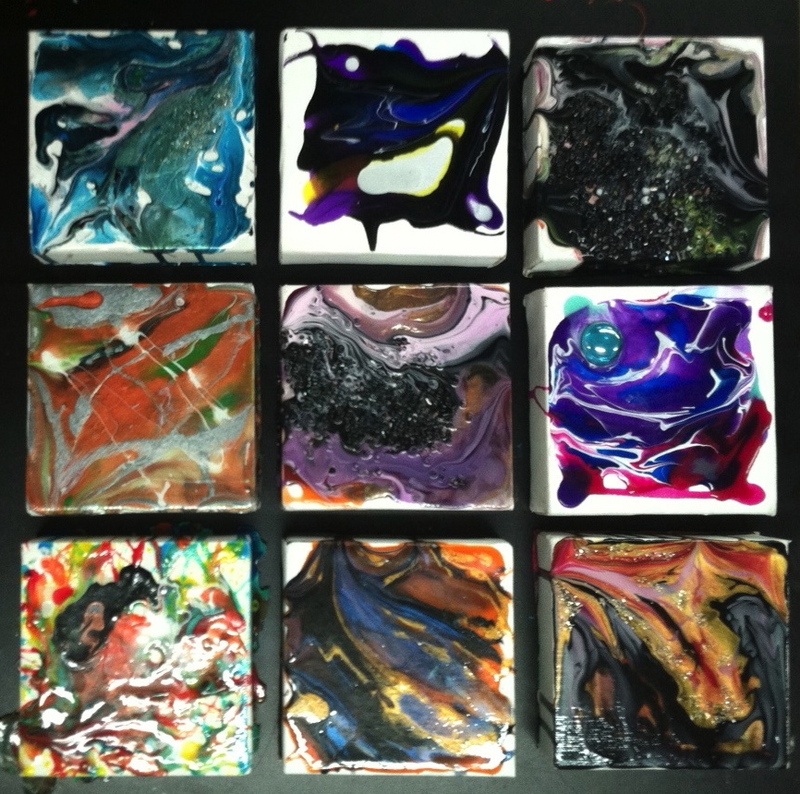 A special thank you to our Express Members ($5 per month donation) for all your support as we share these therapeutic art exercises out in the community. Members can click here to view our full database of Stress-Less Art Exercises. Thanks to you, we are adding more fun projects every month! In the ARTstarters book, I talk about the Creative Mindset of BEAUTY: Seeing the Extraordinary in what others see as ordinary. An artist can see beauty in almost anything because they look beyond the obvious, seeing visual poetry all around them. In the fast-paced world we live in, it can sometimes be hard to slow down and notice what is beautiful. Being bombarded by media and opinions, we may start to lose our own sense of what is beautiful (or right). We may even lose touch with how we experience beauty in the world around us. A Slow-Motion Day (Slo-Mo Day) can help us see with fresh eyes throughout our day and awaken our Mindset of Beauty. It’s a day of cultivating awareness of how we move through the world, slowing down to notice ourselves and who/what’s around us, and how we interact together. Will you join me TOMORROW, November 10th, in a Creative Ritual of a Slow-Motion Day? You can declare your intention to the public on the ARTstarter Facebook Page! · Implement a Media Prohibition: ban yourself from all forms of media, technology, email, web surfing, TV, books radio, newspapers, gossip . . .
· Imagine God walking alongside you during your day as you "show Him around your life"
September will kick off another ARTstarters Creativity Circle at The ARTbar. We only have a few spaces left (register to save your space)! 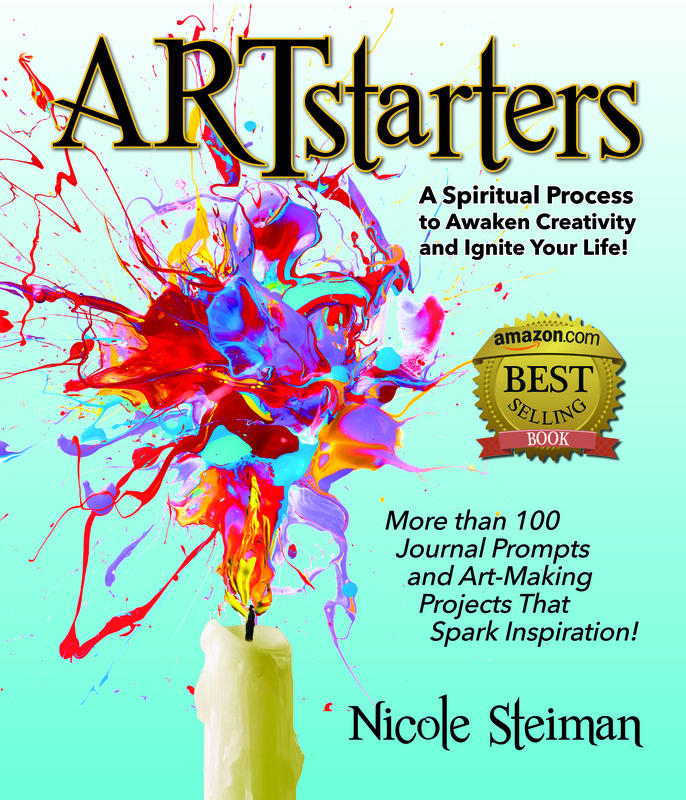 If you can't join us, why not start your own group using the ARTstarters book or follow along wth us, a chapter a month. Each month we will explore a Creative Mindset and a ritual that we can practice during the month that will help create that mindset in us. The 1st Creative Mindset that we will be exploring: POSSIBILITY! Possibility is an amazing concept when you think about it. Possibility embraces imagination, hope, curiosity, our future and dreams all in one word. It means we can look beyond what is there already. We are envisioning what CAN be. Possibility can help us move forward, cause us to change, and keep us from giving up when everything about reality wants us to stay down. Without possibility, you would not be able to anticipate a future. Without the possibility of this new day you are in, it would have been hard for you to wake up this morning. Without possibility, you may not have bought that very last “splurge” item you just purchased. Without possibility, would you be here right now in this moment, reading these words? People may tell us that a dream or a vision or a hope is not REAL, but it can feel so POSSIBLE that it can take you to another place, another attitude, a whole other perspective, a whole new course of action. When you are about to try something new that excites you, do you feel possibility bubbling up into your heart? Holding possibility in our hearts means that deep inside us there is a wish for something. We may not always know exactly what it is, but it is there. 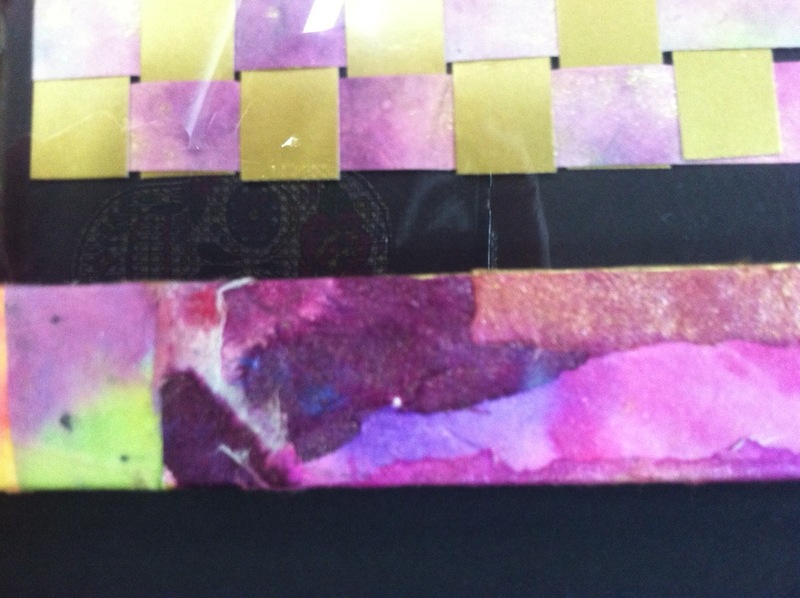 On the ARTstarter journey, we use the concepts and process of art to uncover inspiration in our lives! We are going to think about our lives like Artists -- like our Creator who made us to be creative. 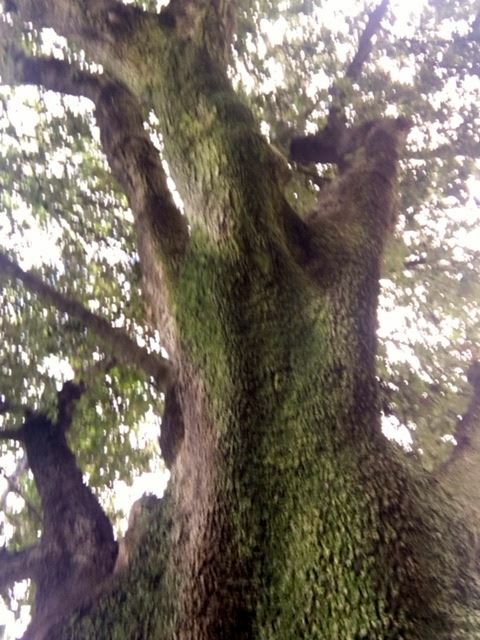 Can you feel the POSSIBILITY??? A few times a year, The ARTbar gets the opportunity to install a window exhibit in the foyer of the Santora Arts Building where we have our studio. A big challenge for me is always, "What to share??" There are so many facets of The ARTbar! And it's true that many of you would probably even describe us in different ways. To some it is a gathering place: a social way to get together with different artists and share our art. To others it is a place to learn new art techniques and about new products. Some still even show up (when we are closed) thinking we are an art store. And if you ask one of our mental health clients, they might say that The ARTbar is a time to relax and feel at peace, a break from all their worries and a chance to look at life a little differently. There are so many facets to what we do and who we are! Well, of course -- The ARTbar has been here for over 13 years! And as the creator behind it, I have been changing as well. My own creative journey has led me through many ups and down, as I am sure yours has too. So what better way to celebrate our journeys than to create an exhibit that invites all of you to participate! The exhibit “Created to Create: My Sacred Art Journey” celebrates how art opens our hearts to change, healing, love, God, beauty, possibility, purpose . . . and wherever else it might be leading you. I am excited to share your stories in the upcoming weeks! 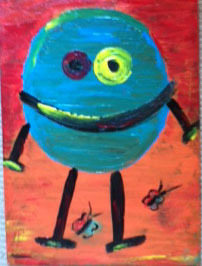 Do you remember painting when you were a child? Most likely you picked up your brush, dipped it (totally and completely) into your favorite color and spread it nice and thick on your paper. You probably painted the most outrageous fun shape that would make you smile. And it was beautiful! We are often asked why we don't offer classes for kids. The simplest way to explain it is that they really don't need us. Once we exit Elementary School, something happens to us. Some realize they are good at art, and may even continue it for further study. And the rest of us, resolved that we are NOT good at art and STOPPED doing it. Maybe we were intimidated by the talent of a sibling or friend. Or maybe we simply decided that it had nothing to do with our future field of study. After all, why do art if you don't want to be an artist? But do you know what? That pure blissful feeling of dipping that brush into our favorite color and spreading it across the paper -- it still feels good no matter what age you are . . . and what talent you have and what job you have. Art and creativity releases something in the soul that helps us to relax, to focus and to have fun. It helps the brain with problem solving and possibility thinking. For some of the people I work with on a weekly basis, it is the only time they forget their chronic pain or life situation and actually smile for 2 hours straight. And it helps us see our lives in different ways. Are you among the casualties separated from art? Do you feel like you've lost your creativity? Maybe even your teenage son, daughter or niece? Have they lost their sense of PLAY with art - maybe turning to something with a more pre-determined outcome, such as video games or movies? If you or someone you know has forgotten what it's like to PLAY with PAINT, to let go of expectation and outcome, to tap into your creative instinct, then The ARTbar is looking for YOU! We sincerely believe that ART wants you to be found, and that you were created to be CREATIVE. 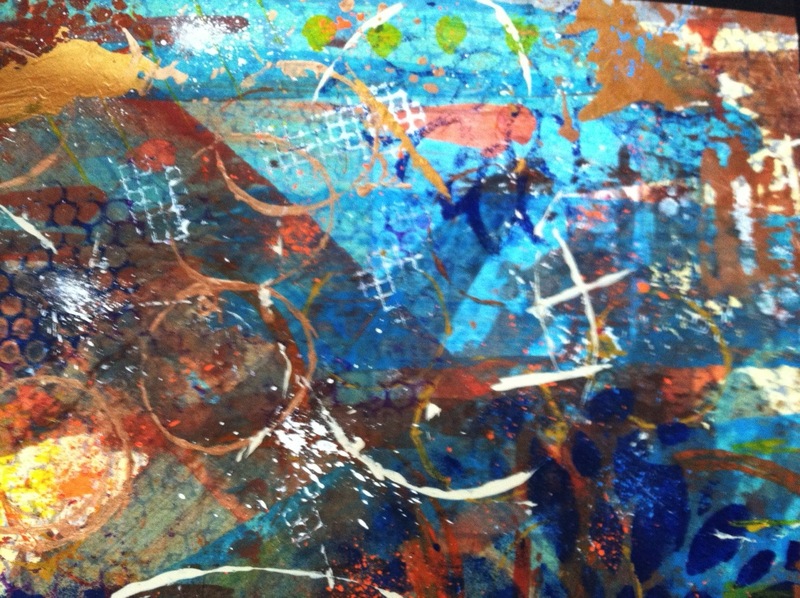 The Urban Acrylics series is meant just for that -- it's pLaY time, with easy and unique techniques woven in, that will help you be successful at finding your inner artist. No supplies required - we'll be painting with lots of unusual tools and bringing out the paint pens, ink sprays, air blowers and more. 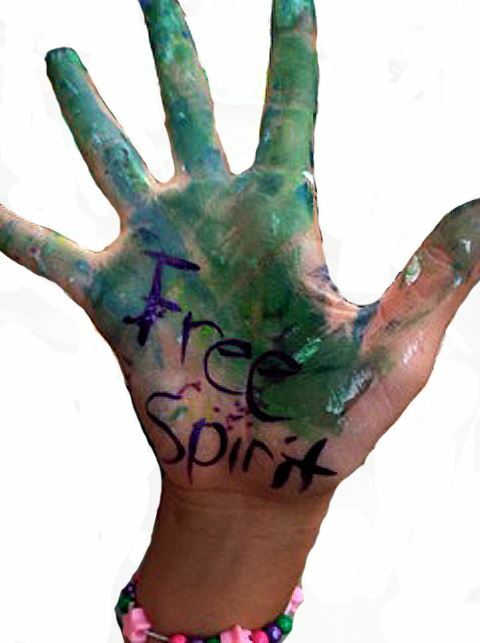 And when you let the paint FLY, you will be amazed at the beautiful things you create! This summer we have added classes during the day on Wednesdays and Fridays ESPECIALLY for those ages 12 and up, because we believe in YOU and what you can CREATE! Life can seem a bit messy at times. This is an everyday truth - and an understatement -- for many of the artists I create with. Some are homeless, shuffling between various group homes, overcoming addictions and mental illness, mending broken relationships or dealing with past hurts. They are some of the bravest people I know because in the midst of the mess around them, they still keep creating, still keep moving on, and continue to find beauty in the chaos. 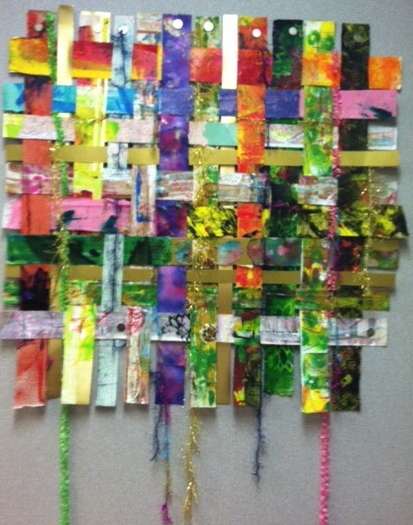 This week they made a beautiful visualization of "finding beauty in the chaos" -- a weaving of all the leftover scraps of papers that they had painted the previous week. These were all the pieces trimmed off from other projects, or deemed not worthy of being used in the first place. As they all gathered around to weave their small pieces together, I could sense the beauty and spirit around us. They saw their life in that weaving - I know I saw mine too! THIS is why I am a creativity coach! So just in case you were wondering why we're not open during the week, and what we are out in the community doing . . . I will try to update you with some of these amazing stories that happen almost every week. I am so blessed with the artists I get to work with. And I hope their artwork inspires you as well! Note: For more thoughts on "beauty in the midst of chaos", see Chapter Three of Nicole's book "Think Like an Artist" -- now available on Amazon. It’s hard to believe that it’s the start of another new year! We look back and life seems to happen so fast. Yet when we’re in the moment, time can sometimes seem so slow. We can honor the time we’ve spent, by remembering and celebrating it. One way to commemorate our special moments is to turn an ordinary sparkling beverage (or even a not-so-ordinary special beverage) into a Celebration Bling Bottle. Note: if things come up that disappoint you or bring up feelings of regret or loss, try to push those things aside and search for the moments that you want to keep in your memory. Don't be discouraged if you can't come up with 16, perhaps you are thinking of too broad of items. Remember: every small moment is important. You don't need to have a "rich" life to have a life rich with memories. These are your "gems" from the year that you should CELEBRATE, whether or not you met those BIG GOALS from the year or not. 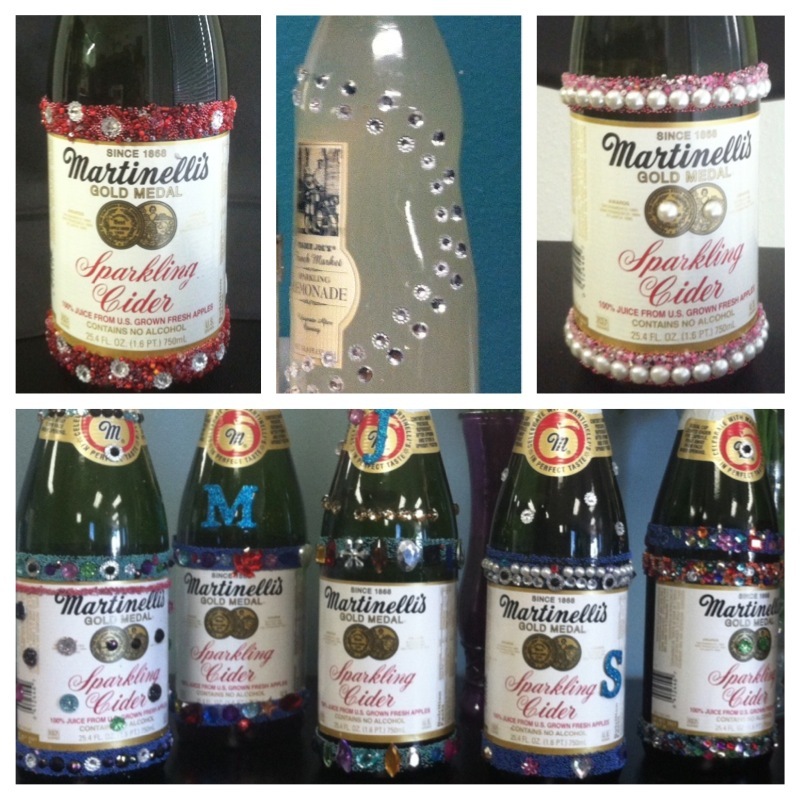 Choose sparkling gems to represent these "gems" from your year and add them to a sparkling beverage bottle that you can open up later for your own celebration! Afterward it can be used as a special vase. Join us this month for our "jOuRnAl pLaY: Celebration" session and we'll share with you more tips for celebrating 2014 and adding more BLING to 2015! Our Express Members can find a step-by-step guide with tips for this project on their member page. To join, click here - it's just $5 a month! And your money goes to support our work with nonprofits, rehab programs and mental health organizations. 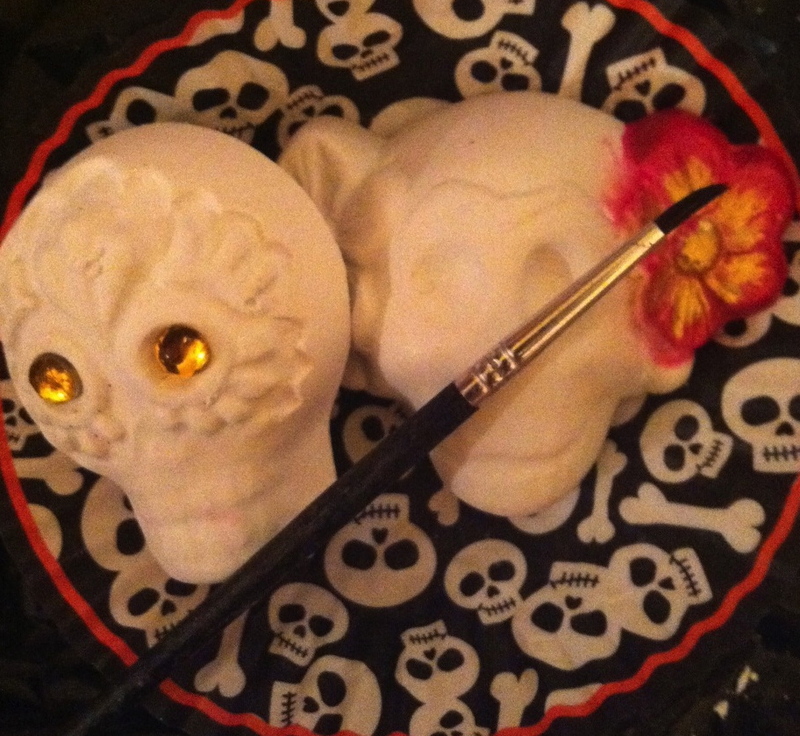 Celebrating Skulls, Art and Life! With all the ghouls and monsters running around town tonight, it's easy to get pulled into the dark and scary aspects of this weekend. 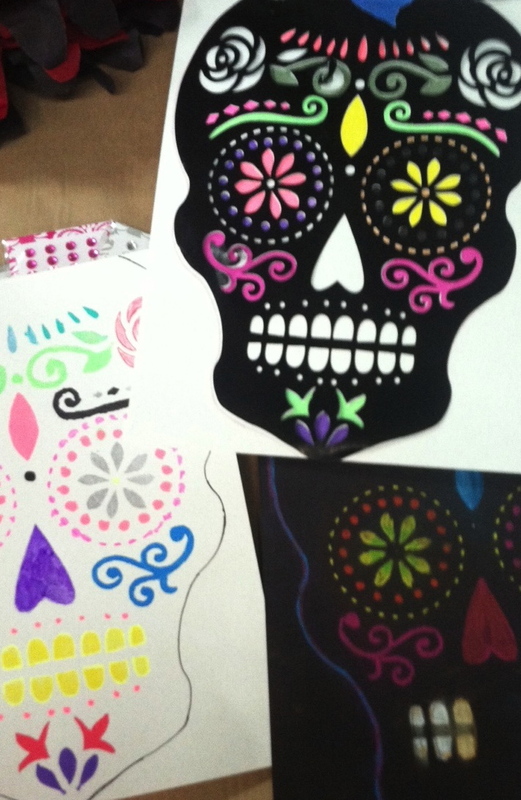 What I love most about Dia de Los Muertos is what a great CONTRAST it is to the tradition of Halloween. Rather than collecting treats, we CREATE and SHARE treats. It's a tradition of celebrating the art of LIFE! Don't let the skulls fool you - sugar skulls are made of sugar and decorated with frosting and foils and gems in bright colors to remind us that although death will come to us all, the living of life is sweet indeed! It truly is a gift. It's the perfect time to honor someone you love who has passed through your life. It's also the perfect opportunity to remind YOURself to CELEBRATE LIFE and those you love NOW while we have the chance. What are your favorite ways to celebrate life? This is a great question to discuss with family, friends and art groups of your own. Here are some of the answers I have collected this week: . . . dance, sing, love, share my purpose, shine my light, live my faith. My guess is that we all love celebrating life through ART! The Daydream-a-Day Challenge starts TODAY! New Year's Day is always filled with so much promise of hope. The new year ahead seems like a blank slate with none of the old garbage of what's behind me. 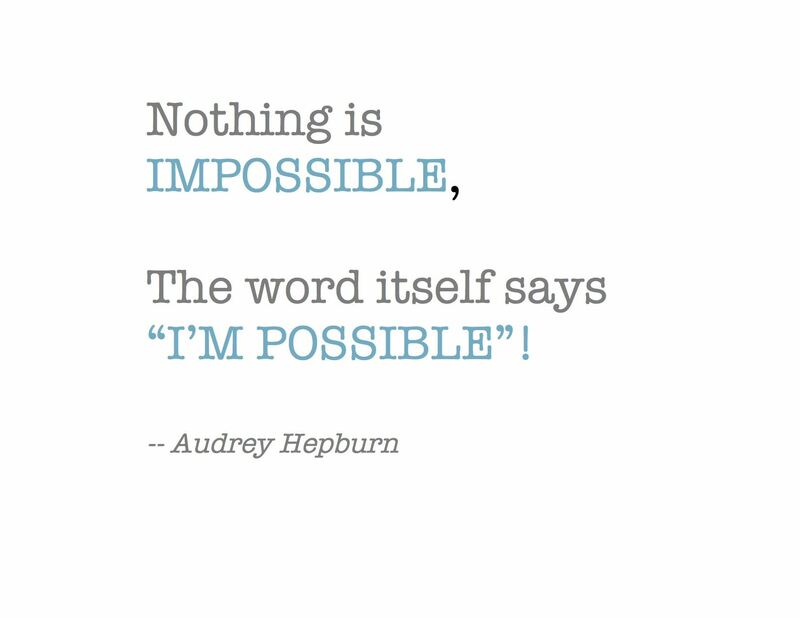 I love that fresh feeling that anything is possible! But here we are now on October 1st. And January 1st seems like it was so long, long ago . . . Where did my chance for a fresh start go? What happened to all the excitement about what I wanted to create? It's still here in me somewhere. In reality, every day, and every moment, can be a new start . . . even October 1st can be the 1st day of a new year, a new month . . . a new moment in time. Time to take back the HOPE, THE POSSIBILITY AND THE INSPIRATION that used to belong only to New Year's Day! It's time to DAYDREAM again . . .
Studies show that focused daydreaming can actually lead us to INSPIRATION! The most creative people see life as a constant opportunity to set new goals, ask questions, try new things, be curious and use imagination. Everything around us that we see as "real" started once as an idea in somebody's imagination. We can do the same in our life too . . . It's a great place to start!